Econo Mode: This function enables efficient operation by limiting the maximum power consumption. It is useful when using the air-conditioner and other electrical devices simultaneously on a shared electrical circuit. Power Chill Operation: During extreme heat conditions when rooms require quick cooling, power chill ensures room temperature drops rapidly for immediate comfort. Indoor Unit Quiet Operation: This feature ensures low noise level resulting in sound sleep. It optimises the speed of the airflow according to low noise level to give you uninterrupted comfort. Coanda Airflow: Coanda airflow operation gives you the best air-conditioning experience. The powerful air draft does not fall on your head directly, but it is steered upward letting air circulate into the corners of the room creating a comfortable ambience. Good Sleep Off Timer: You can prevent excessive cooling of the room during sleep by setting a temperature shift value. The air conditioner automatically stops after the preset time has elapsed, thereby conserving electricity. Neo Swing Technology: Thanks to its smooth rotation, the neo swing compressor decreases friction and vibration. 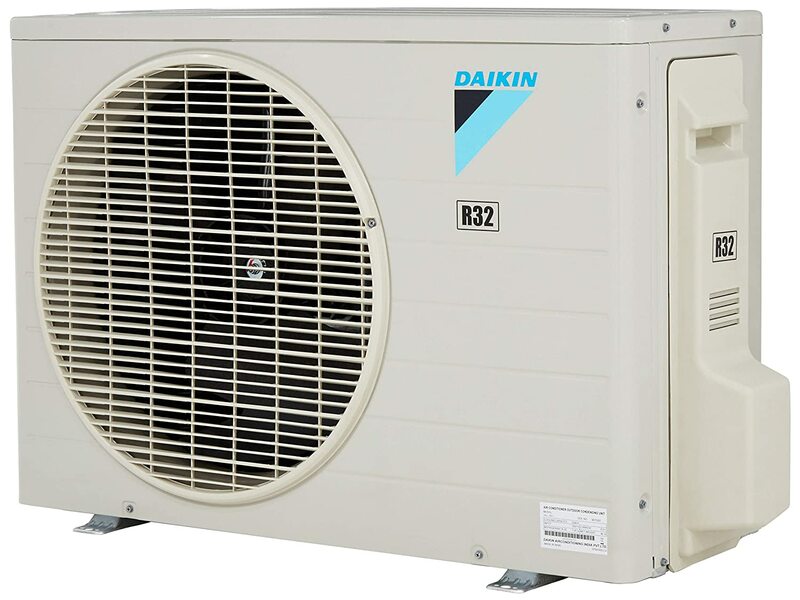 It also prevents leakage of refrigerant gas during compression. These advantages provide quiet and efficient operation. R32-Befriending the environment: R32 (Green Refrigerant) has zero Ozone Depletion Potential (ODP) and Modified Global Warming Potential (GWP) of 472, compared to R410A’s Modified GWP of 2,027. Also R32 is a single component refrigerant, which makes it easy to recycle. It is because of these reasons that R32 offers the lowest total emissions and best overall life cycle climate performance.